About Henry Molded Products - Henry Molded Products Inc.
Henry Molded Products has evolved from providing a single product line of decorative floral vases to becoming the industry leader in full-line molded fiber manufacturing. Family owned and operated since 1962, we proudly manufacture 100% recycled, biodegradable, and recyclable molded fiber products. Through integration of new technology and ideas, we have consistently grown in our ability to develop new applications. We engineer and manufacture eco-friendly products for use in many applications. Our most popular product line is our Stakker® Roll Cradle System. Since its invention, we have sold millions of Stakkers® to customers worldwide. They are popular because they secure roll items, provide superior cushion, maximize space, and are eco-friendly and reusable. We stock over 100 truckloads of Stakkers® at locations throughout North America and Europe – ready for shipment anywhere. We also design and manufacture custom molded fiber shapes. 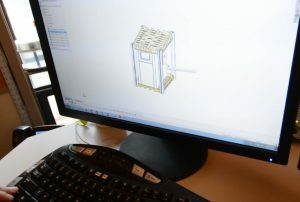 Our engineers use the latest CAD technology to perfectly craft custom molds for protective packaging and other applications. 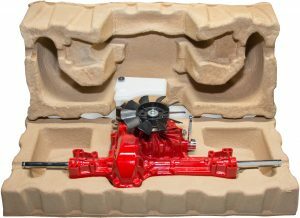 We ensure that every molded product properly fits items and will meet the customer’s needs. As companies are becoming more environmentally conscious, they are looking for new ways to ship and protect items. 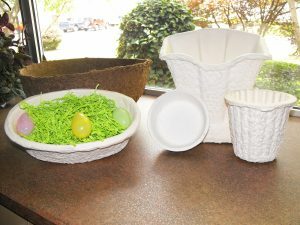 Molded fiber is the perfect solution because it is recycled, durable, and moldable into almost any shape. Henry Molded Products is proud to be on the forefront of designing, engineering, and manufacturing of high quality molded fiber products. We are always searching for new ways of protecting products with molded fiber and the possibilities for design are endless. Our dedicated teams are eager to help you with your packaging solutions.